I first came upon the journal Public health reports when I was trying to find out about epidemics that may have occurred in Odessa in the early 1900s. I thought I had read that there had been a cholera epidemic which could have caused the deaths of my two baby uncles. I couldn’t find the original reference I had seen but eventually found a reference to bacteriologist Lydia Rabinowitsch-Kempner, who went to Odessa in 1902 to study a plague epidemic. Daughter of a merchant in Kovno, Lydia Rabinowitsch went to gymnasium, studied Latin and Greek privately, studied natural sciences in Zürich and Bern and bacteriology with Robert Koch in Berlin, and researched the link between tuberculosis and milk. I was more than a little surprised by the education that Lydia Rabinowitsch received, including Latin and Greek, as a Jewish girl born in 1871. The majority of Jewish girls probably had very little education except possibly some Hebrew. Yiddish, the most common first language, was only just beginning to be a written language as the first stories and novels in Yiddish were being published, and most young girls would not have learned Russian formally. However, there must have been a certain percent, like two of my great aunts, who went away from home to Russian schools and colleges, and spoke Russian and German. Lydia Rabinowitsch and her husband Walter Kempner combined a holiday in the Crimea in the summer of 1902 with studying the plague epidemic, which had begun the previous December and continued until November with 49 cases and 17 deaths. Also, in August/September, there was a cholera epidemic with 18 cases and 6 deaths. 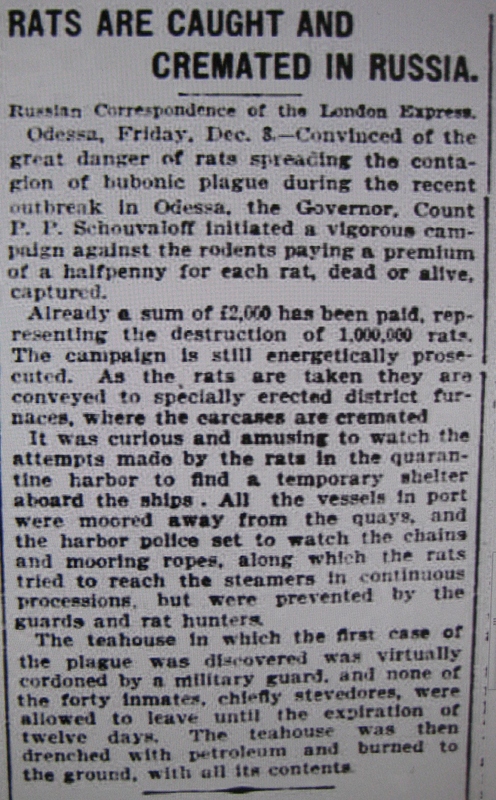 The plague bacillus had only been discovered in the Far East in 1894, and the connection with rats and fleas had first been proposed in 1898, so this was an opportunity to try and prove the relationship between the rats, fleas and human cases of plague. Ports are especially susceptible to infectious diseases as people from so many places are in contact with one another. 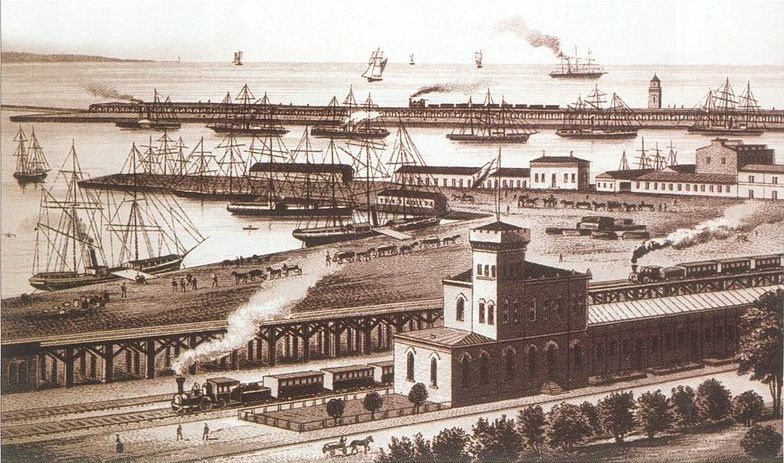 Odessa was in a particularly dangerous position as there were many more infectious diseases in Black Sea ports such as Constantinople. Odessa had a large plague epidemic in 1812 in which 10% of the population died, and quarantine at the port began to be taken very seriously. There was a quarantine harbour for foreign ships and passengers from any ships that were thought to be carrying infection were kept for two weeks in isolation buildings by the harbour. Possibly because of the level of infectious diseases in Odessa, it had a well-known microbiology laboratory working on vaccines, set up by Ilya Mechnikov, who received a Nobel prize for his work on immunity. One of his students was Jacob Bardach, who ran the laboratory when Mechnikov went to Paris to study with Pasteur, though there was opposition as he was Jewish. Bardach set up the first ambulance station in 1903, shortly after Lydia Rabinowitsch’s study of the plague, and worked tirelessly providing first aid for the pogrom wounded in 1905. My own family probably arrived in Odessa in 1902 and possibly neither or only one of the two boys was born by then and the epidemics that year were relatively small. I felt that if the two little boys had died of common children’s diseases, like diphtheria or scarlet fever, it would not have remained such a secret in the family. And if one had died at birth I was sure that my grandfather would have told my mother as her first child had also died shortly after birth. When I began translating the pogrom death records I returned to Public health reports to look at the mortality figures in October and November 1905, as I did not know if the pogrom deaths were listed in the main records. The pogrom occurred from 19-23 October, which was 1-5 November in the Gregorian calendar. The total deaths recorded on 4 November in Odessa was particularly low, 143 rather than the usual 200-250, but the 11 November figure was somewhat higher at 275, but certainly not high enough to be including all the deaths. There are no details sent for the week 18 November. As the pogrom deaths were kept in separate records, the statistics must have been compiled from the main 1905 records. But looking through the figures, I realised that the total population figures in Odessa had been rapidly increasing over a few years, which might point to why Odessa had the most violent pogrom. Of 300 people in the pogrom death records, only about 10% were born in Odessa. A list of towns with their populations and number killed or wounded in the pogrom was published by the American Jewish Year Book (8; 1906-07) – Odessa is listed as having a population of 405,000 (Jewish population 160,000), 800 pogrom deaths and 5000 wounded, while Kiev had a population of 250,000 (20,000 Jews), 60 pogrom deaths and 369 wounded. Plotsk was a city of 550,000 with 50,000 Jews, and only 7 deaths, whereas Minsk, with the highest proportion of Jews, 91,000 population (50,000 Jews), had 100 deaths. The proportion of the Jewish population seemed important as well as the recent rise in population. 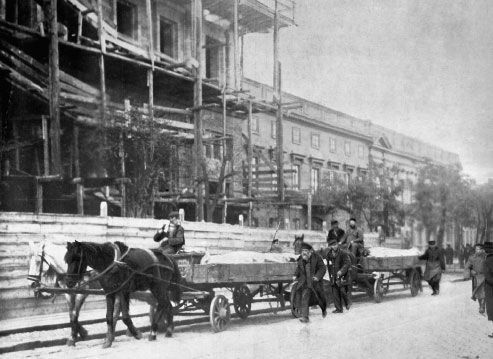 In 1902 the population of Odessa, according to Public health reports, was 442,000, 475,000 in 1904, and 511,000 in 1905. 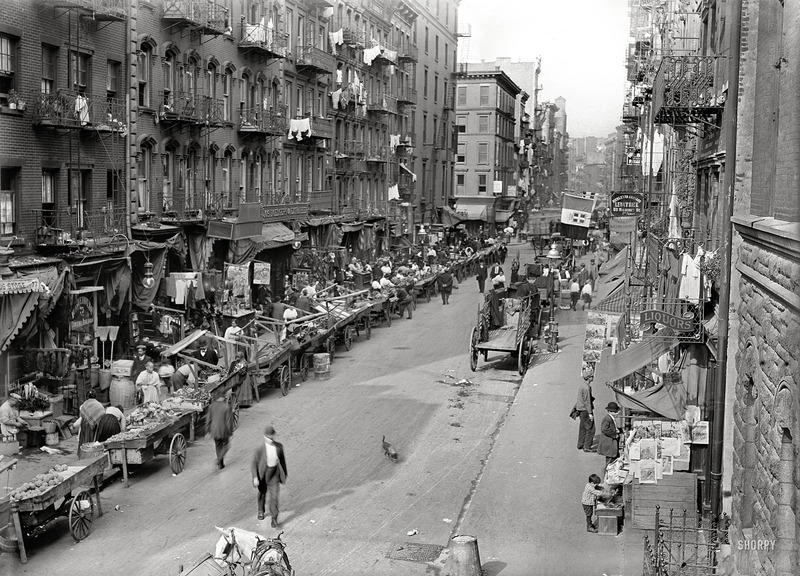 There was a tremendous influx of people, 35,000 in the past year, probably mainly poor workers from the countryside, but also small business people like my grandparents trying to get on in life, many of them Jews. This would have led to tensions among the people already in Odessa trying to scrape together a living. Sometimes it only takes a small shift in the balances that keep a community ticking over reasonably well for tension to rise. Then, anything that brings crowds together, like the combination of strikes, soldiers returning from the war with Japan, and celebrations about the Czar‘s concessions, could cause unrest. After the pogrom there are a couple more dates in late December when Odessa did not send figures into Public health reports and this was probably because it was conducting a new census which began towards the end of November. So the Odessa pogrom had a significant effect on emigration from Odessa beyond the initial loss of 50,000 people leaving either temporarily or permanently. In Kiev, where the pogrom was less fierce, the emigration figures did not change in 1905-1906 but remained at the low level of 461. 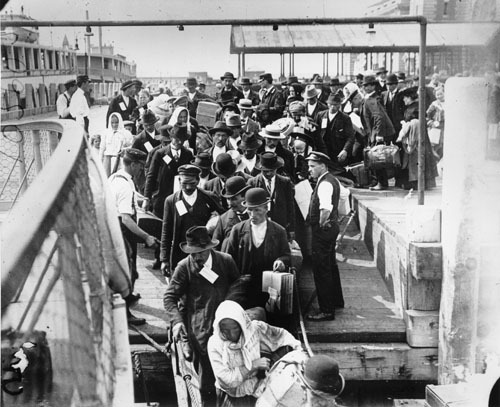 The greatest exodus, however, is from southern Russia… Every Jew who has sufficient funds is arranging for the removal of his family either to England or America. Many of them are abandoning lucrative businesses rather than run the risk of enduring another reign of terror. 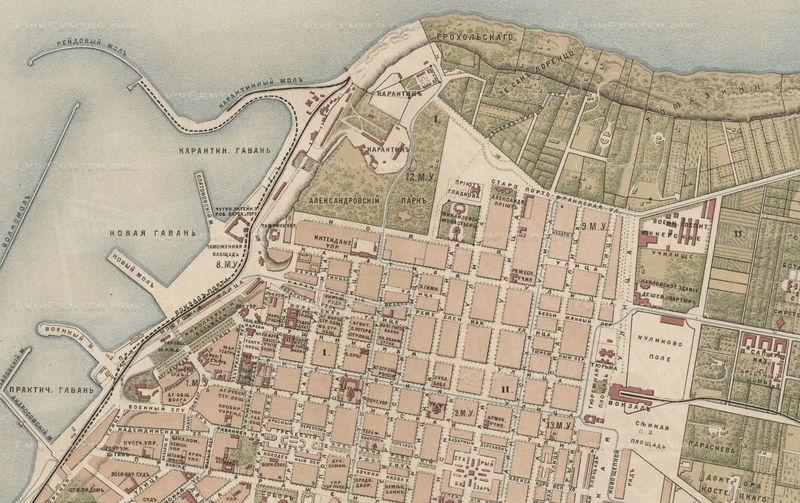 Things were beginning to slot together in my mind– the huge influx of people into Odessa over a few years in the early 1900s, rapid change, tensions, and then the huge exodus after 1905. That is the overview, but what effect did it have on the individuals caught up in it? Like Tolstoy’s theory in War and Peace, that history is not made by generals but by ordinary people’s small actions, gestures or comments at a crucial moment, the events in Odessa in 1905 may have resulted, in the end, from someone, maybe a small child, waving a hand or shouting something no one may even have understood. And then the events that follow completely colour the lives of the people involved, their families and future generations. Every gesture, every comment, their hopes, their fears, would have the shadow of October 1905 upon it.